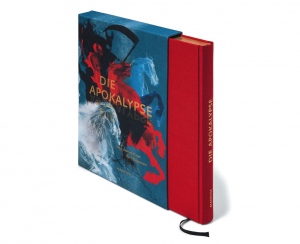 My new illustrated book Die Apokalypse, a new German translation of the old biblical text The Revelations of John will be published 17th of October 2016. It’s a luxury edition published by Manesse/Penguin Random House and includes 12 double spread illustrations in full color. Here’s a sneak peak. Very proud of this job! You can order it from HERE!